New York Times Bestseller: From the journalists who covered the story, the shocking crimes of Gary Ridgway, America’s most prolific serial murderer. In the 1980s and 1990s, forty-nine women in the Seattle area were brutally murdered, their bodies dumped along the Green River and Pacific Highway South in Washington State. Despite an exhaustive investigation—even serial killer Ted Bundy was consulted to assist with psychological profiling—the sadistic killer continued to elude authorities for nearly twenty years. Then, in 2001, after mounting suspicion and with DNA evidence finally in hand, King County police charged a fifty-two-year-old truck painter, Gary Ridgway, with the murders. 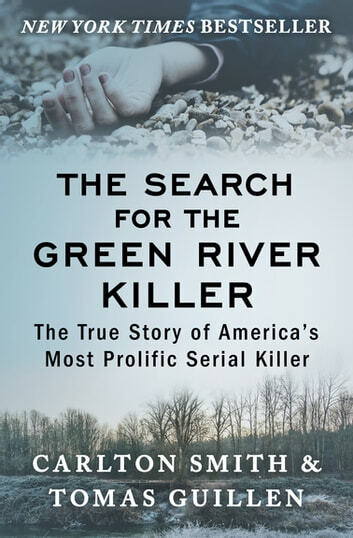 His confession and the horrific details of his crimes only added fuel to the notoriety of the Green River Killer. Journalists Carlton Smith and Tomas Guillen covered the murders for the Seattle Times from day one, receiving a Pulitzer Prize nomination for their work. They wrote the first edition of this book before the police had their man. Revised after Ridgway’s conviction and featuring chilling photographs from the case, The Search for the Green River Killer is the ultimate authoritative account of the Pacific Northwest killing spree that held a nation spellbound—and continues to horrify and fascinate, spawning dramatizations and documentaries of a demented killer who seemed unstoppable for decades. Difficult. Long and boring in places. This is a difficult read. Like reading a report rather than a novel. However, if you are interested in serial killers this gives a great deal of information and insight into how police approach these tragedies. I can't really recommend it. I admit that I skipped over plenty of the material. 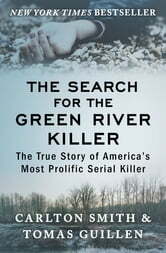 The Search For The Green River Killer is an comprehensive look at the years long search for the identity of the Green River Killer. It is an interesting book for anyone interested in learning more about America's worst serial killer. One thing that must be noted is that the book was originally written in 1991, while Gary Ridgeway was not captured until 2001. As such, a prospective reader must understand that they are going to read a volume that sums up the search as it happened up until 1991, with its many suspects, even more numerous victims and the very complicated relationship between the police, politicians and the press. Someone going into this book expecting it to be about the capture of Gary Ridgeway might end up walking away disappointed (though chapters added in 2003 do go into his capture and personality), however it is a book perfect for people who want to know more about the long process that led up to his capture, the many struggles that were faced over the years and the rise and fall of the team dedicated to catching this killer. Personally, I would very much recommend this book to people who are already familiar with the Gary Ridgeway case from other sources and would like to have more insight into the early years of the investigation.